Lok Sabha Elections: At a party meeting in Gujarat's Godhra, Amit Shah was targeting the Congress for its dynastic politics. 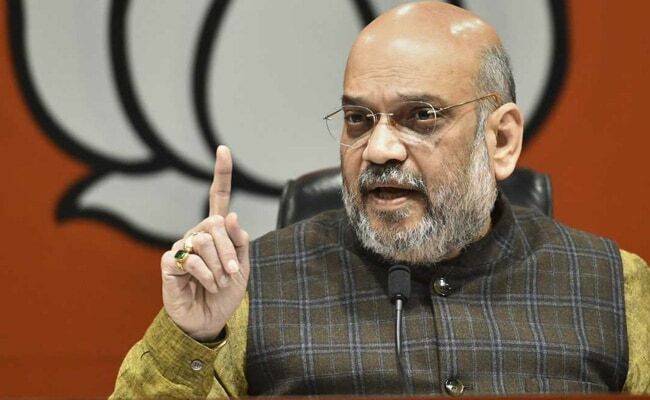 Priyanka Gandhi, Mr Shah said, entered politics to preserve "dynasty"
Amid the many barbs of the BJP on the reason for Priyanka Gandhi Vadra's entry to active politics - focussing on Mr Gandhi's performance as a leader -- BJP chief Amit Shah today released one that went off script. 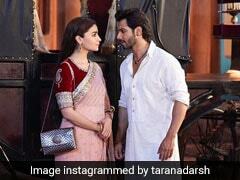 Priyanka Gandhi, Mr Shah said, had to enter politics to preserve the "dynasty". At a party meeting in Gujarat's Godhra, Mr Shah was targeting the Congress for its dynastic politics. 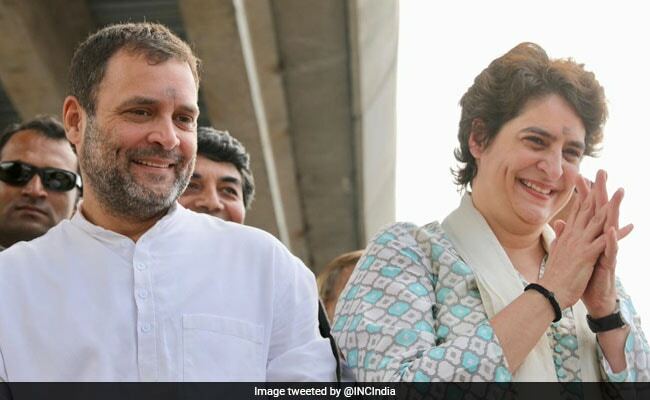 As the "brother" (Rahul Gandhi) has not married, so now the "sister" (Priyanka Gandhi) has come (in the political arena), Mr Shah was quoted as saying by news agency Press Trust of India. Claiming that the Prime Minister's seat is reserved "by birth" in the Congress, the BJP chief questioned if a worker of the party could ever think of occupying the top post. In the BJP, he said, one does not need family credentials to rise through the ranks. "I was a booth worker of the BJP. I rose to be the party president. The chaiwala has become the prime minister of the country," Mr Shah said, addressing party workers. "Can any party worker from Congress ever think of becoming the prime minister? In that party that seat is reserved by birth," he was quoted as saying by PTI. The appointment of Priyanka Gandhi as a general secretary of the Congress, in charge of eastern Uttar Pradesh, where lie Prime Minister Narendra Modi's Lok Sabha constituency Varanasi and Yogi Adityanath's home turf Gorakhpur, has given fresh teeth to the BJP attack. Over the last weeks, various leaders of the BJP have contended that Priyanka Gandhi was inducted as her brother, Congress chief Rahul Gandhi, had been a failure. Last week, Smriti Irani had tweaked Prime Minister Narendra Modi's "Namdaar (dynasts)" versus "Kaamdaar (hard worker)" distinction. In the Prime Minister's version, Rahul Gandhi gets the first tag. Smriti Irani said: "Five years ago, in 2014, we all saw Congress president Rahul Gandhi running from pillar to post in Amethi. Now, the Kaamdaar's work is such that Naamdaar (Priyanka Gandhi) had to enter. Rahul Gandhi should not show the country dreams of development when he cannot develop his own constituency".